Dressed in full armor, ready to accept the challenge. Are you facing challenges? Health issues? Work-related stresses? Relationship issues? When we must work through difficult times, we don’t usually see the reason or meaning for the struggles we endure. After we’ve gone through the fire, we can reflect back on what we’ve gained. Strength. Confidence. Humility. Empathy. Gratefulness. Recently I had complicated foot surgery. If you know me, you know hiking is integral to my well-being….physically, emotionally and spiritually. Four weeks and counting with no weight bearing. Crutches are a pain…literally! Then I’ll face a couple of months with an “orthopedic boot” and then intensive physical therapy. No hiking or neighborhood walks. The hardest challenge is accepting I’m dependent on my husband for many daily tasks. He’s great about helping, but I don’t like limits on my abilities. Even though this recovery is not the worst health challenge my husband and I have faced, this time of waiting is giving me plenty of opportunity to trust my faith…to stay positive and hopeful about the ultimate outcome. After this, I’ll deeply appreciate being able to walk across a room without the aid (hinderance?) of crutches. I’m clinging to the message in one of the Bible passages I think of when I need strength….fortitude for any and every challenge faced. Doesn’t this passage fill you with hope and confidence? No matter the challenge before you, these words give strength to face the difficulty ahead. To pass through the fire….of pain, despair and fear. Our Lord prepares us to do battle with truth, righteousness, faith, salvation and His Word. We enjoy attending Renaissance festivals, a little taste of the sights and sounds of the past. The jousting knights are the perfect example of putting on armor before the battle. At the Arizona Renaissance Festival near Phoenix, many attendees wear elaborate costumes. 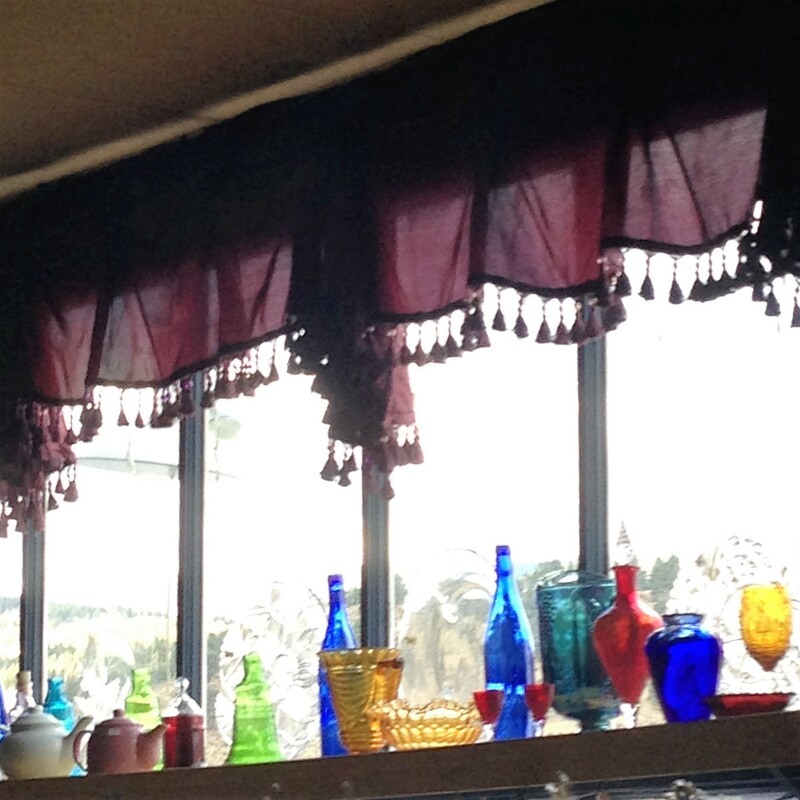 Colorful wares are offered in cute shoppes. Tunes from bagpipes and beating drums can be heard. The air has scents of wood fires and roasting turkey legs. There was even a cute tea shop, perfect for my tea-loving self. So today I’m serving Shakespeare’s Romance Tea—white tea, raspberry leaf, hibiscus and peach. Various jars of teas sold at the Renaissance Faire. If you’re interested in Renaissance fairs, I recommend the elaborate Arizona Renaissance Festival held on weekends during February and March. For details, visit http://www.arizonarenfestinfo.com. Some of my author friends have books releasing soon. 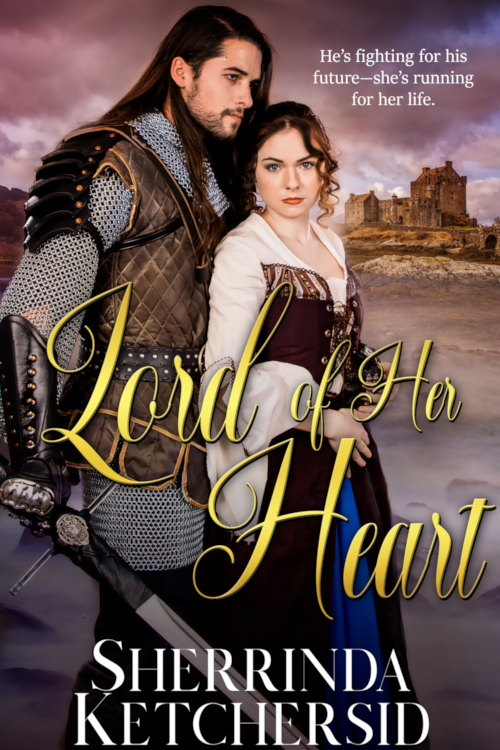 Fitting in with the theme of jousting knights, Sherrinda Ketchersid’s debut, Lord of Her Heart, is available May 14, published by Lighthouse Publishing of the Carolinas. To escape an evil plot, Lady Jocelyn dons a disguise, hoping to find out the truth about her father’s situation. Jousting tournament champion Malcolm, who desires a peaceful life on his own manor, discovers her deception. They must learn to trust each other in this story of romance set in medieval times. Sounds intriguing! Patti Jo Moore’s third book in her Emerald Coast Romance series, In Tune With Romance, releases later this month with Forget Me Not Romances. We can anticipate another sweet romance as we visit the charming beach town of Coastal Breeze. We’re all ready for some warm breezes, I imagine! Currently I’m reading A Most Inconvenient Love, by Ruth Logan Herne. This historical, set on the prairies of South Dakota, is engaging as a school marm and a lumber baron find their way to a happy ever after. I always enjoy this author’s style of sprinkling wisdom among the pages of a great story. 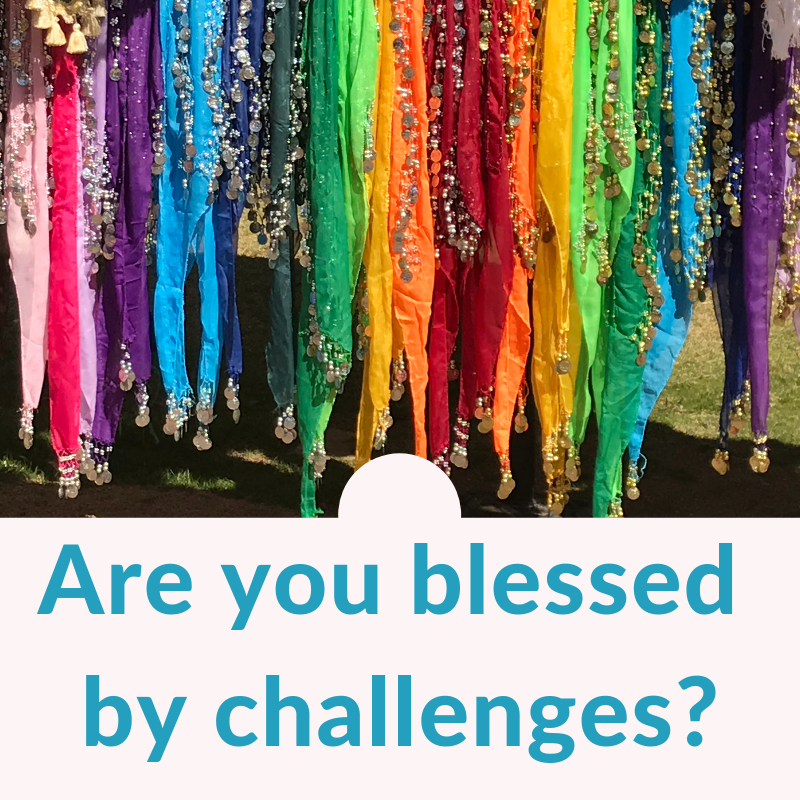 Are you facing challenges? May we pray for you? Have you walked a challenging path and come through stronger because of your experience? What Scriptures do you treasure when faced with difficulties? I’ve felt the prayers of those of you praying for my surgery. I’d appreciate continuing prayers for my foot to heal completely so I’ll be out on the mountain trails this summer. Thank you for prayers, sharing and joining me for Tuesday Tea. Welcome to my Tuesday TEA …make that COFFEE blog. (In just a bit, I’ll explain about the switch in drinks.) 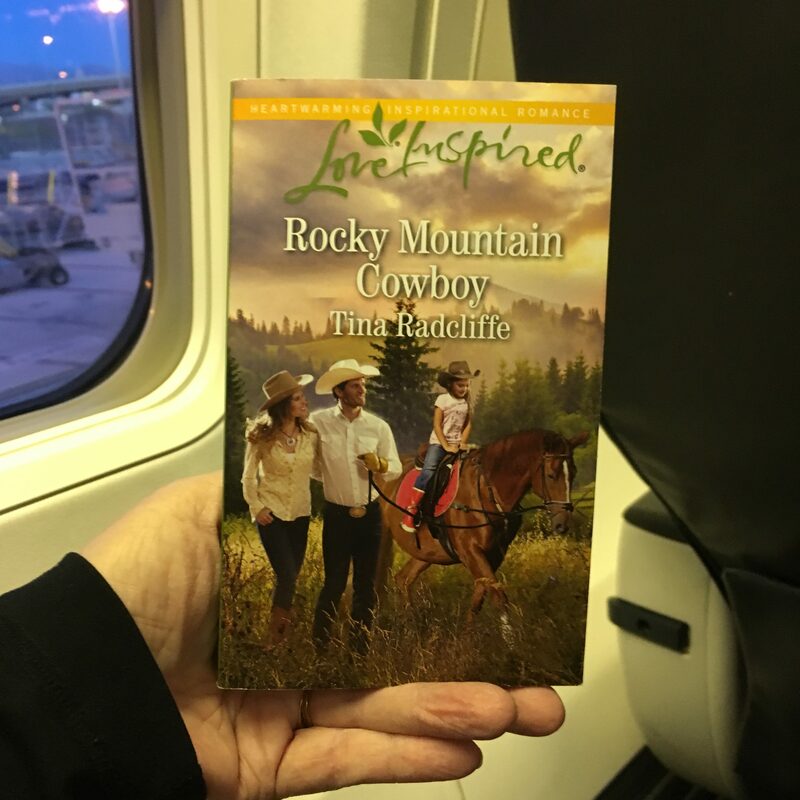 We’re chatting about Tina Radcliffe’s newest Love Inspired book, Rocky Mountain Cowboy. To enjoy with the coffee, I brought blueberry muffins from Patti Jo’s Café and Bakery….Rocky Mountain Cowboy hero Joe Gallagher’s favorite. Not only is Tina Radcliffe an amazing author, she is also the queen of coffee. Caffeine fuels her production of quality inspirational romance stories, so I’m pouring large mugs of quality Seattle coffee in Tina’s honor. I was fortunate to read Rocky Mountain Cowboy as I flew to Seattle to visit family. When I arrived, I savored amazing coffee selections from the City of Caffeine. Seattle knows how to roast coffee! Now on to this amazing book….with a personal note at the end of the review. What an excellent romance…..set in Paradise Valley, Colorado! I simply LOVED Rocky Mountain Cowboy, a perfect romance of forgiveness and second chances…of putting the past behind. I smiled from the first page until the end, delighting in all the characters who sparkled with heart-felt emotion. What a treat to spend time with therapist Rebecca and cowboy Joe on his ranch in Paradise Valley, Colorado. Through this book, I experienced life on the beautiful Gallagher Ranch while Rebecca helps Joe adapt to a different routine using his new prosthetic hand. Joe’s gentle encouragement helps Rebecca move beyond her complex past. I particularly delighted in the engaging conversations between the characters. Tina Radcliffe, one of my favorite authors, knows how to write fast-paced, engaging dialogue…some witty and some quite touching. The various friends and family members were fun additions, as well as the mention of treats from Patti Jo’s Cafe and Bakery. Life just can’t get any sweeter than a romance in beautiful Paradise Valley! *I was given a copy of this book. I’m delighted to provide my honest review. In this book, hero Joe Gallagher is an amputee adjusting to his prosthetic hand. Author Tina Radcliffe presents this situation very realistically. My father, a forward observer in the Army during World War II, was injured during fighting in Europe and was captured by the German Army. While he was a prisoner of war, his left leg was amputated. He was twenty years old at the time, so he spent most of his life with an artificial leg. As his daughter, I saw the various improvements in the technology of prosthetics to help amputees live active lives. As Tina reflects in Rocky Mountain Cowboy, amputees are not defined by their injuries, but by the lives they live. Though Rocky Mountain Cowboy is based on valuable research dealing with the situation of losing a limb, Tina’s story really focuses on the romance between the hero and heroine. I’m thankful for authors who include disabled characters in their books. My father was not defined by his amputation, but by the very loving and faith-filled life he enjoyed for 92 years. To celebrate Tina and her book, I’m serving large mugs of coffee today instead of our usual tea. 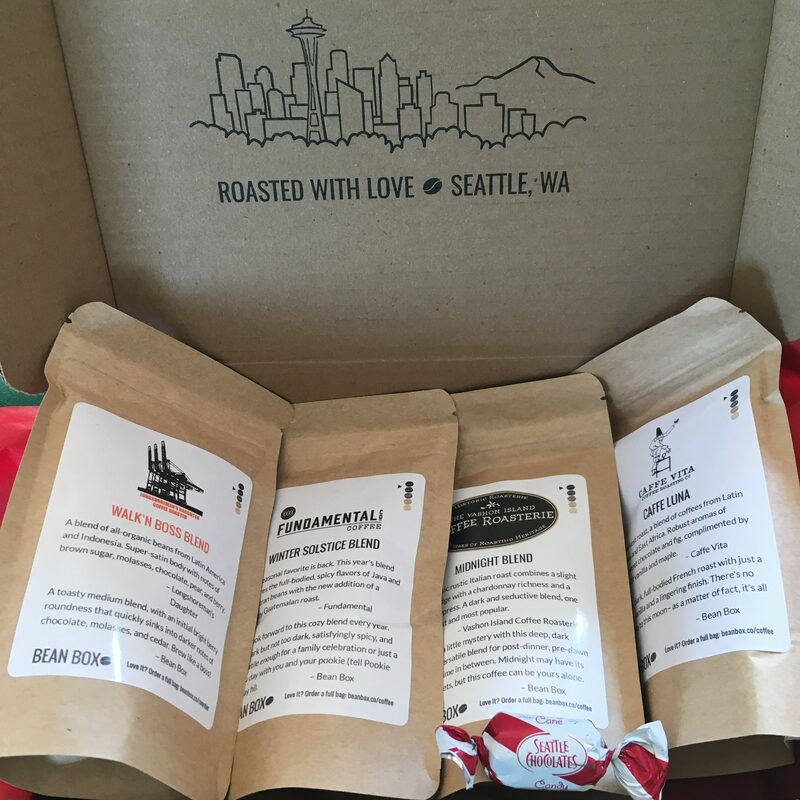 Our sons know my husband and I enjoy coffee as well as tea, so take a look at these intriguing coffees we received as gifts from our sons and their families. Our younger son traveled to Nicaragua a couple of times as part of a health mission with H.O.L.A. 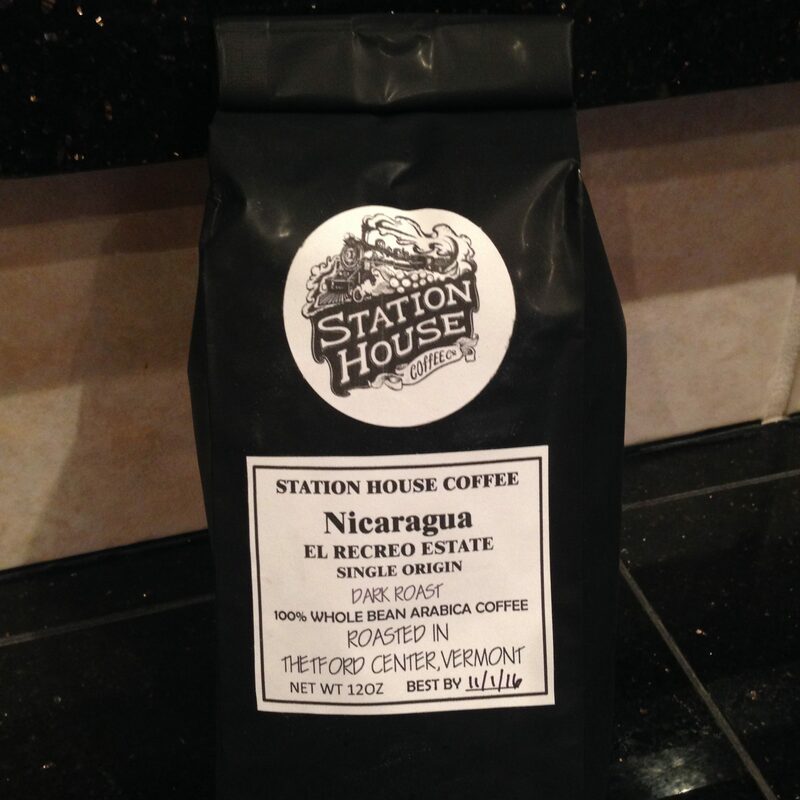 He enjoyed the coffee grown in that country and gave us a bag of Vermont roasted and Nicaraguan grown coffee. Today we lift up author Tina Radcliffe. Thank you for blessing her with amazing talent as a writer of inspiring stories filled the message of Your grace. She blesses others as she encourages other writers with uplifting advice. Please continue to grant her great success in all areas of her life. Thank you for joining me for coffee today as we talked about Rocky Mountain Cowboy. I hope you enjoy the book and another visit to Paradise, Colorado, as much as I did. Do you have a drink of choice at Starbucks? Or do you have another favorite coffee? Please leave a comment. I’ll end with a couple of photos of beautiful Seattle. May your life be filled with God’s treasured blessings. 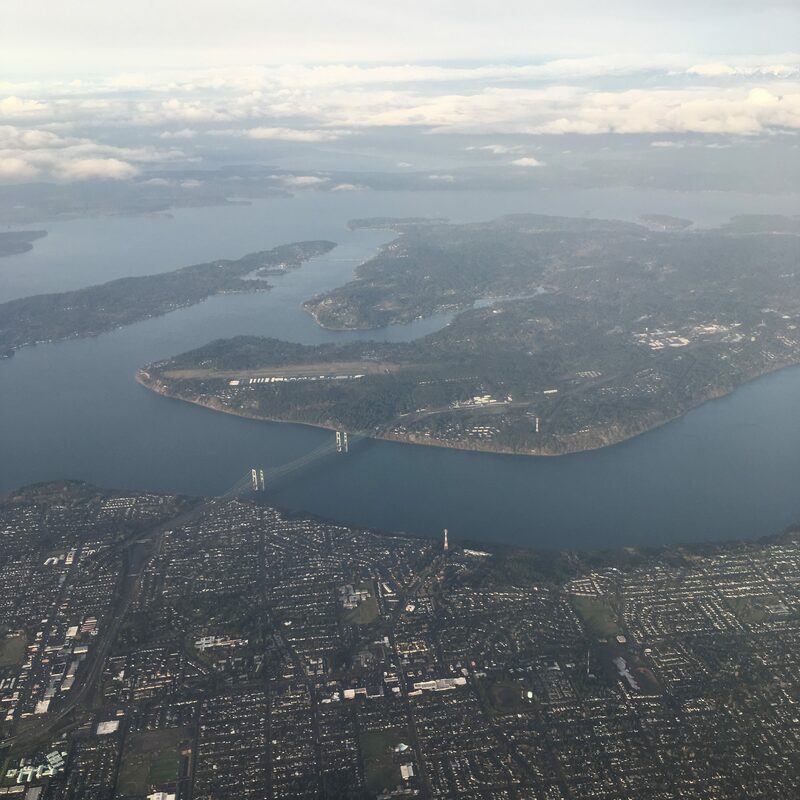 View as we flew into Seattle. 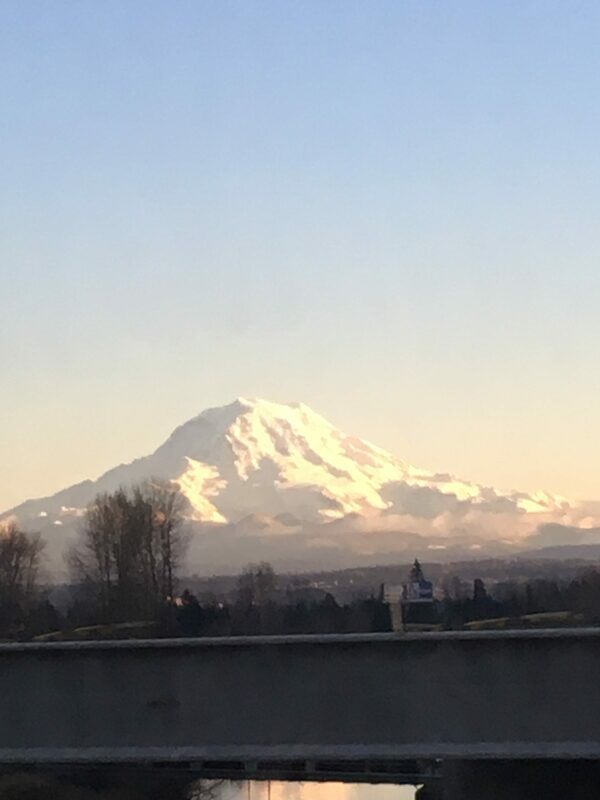 Mount Rainier glowing in the afternoon sun. Are you writing historical fiction? Do you sometimes need the spark of an idea to move your manuscript forward? I certainly do, so I’m sharing these tips for what works for me. My great-grandparents’ family photo. My grandmother, Mabel, is second from the right. This is probably around 1910. Pinterest is a great place to search for the time period and subject you are writing about. Photos from historical societies and history books also provide setting ideas. Family photos are other good places to find gems. 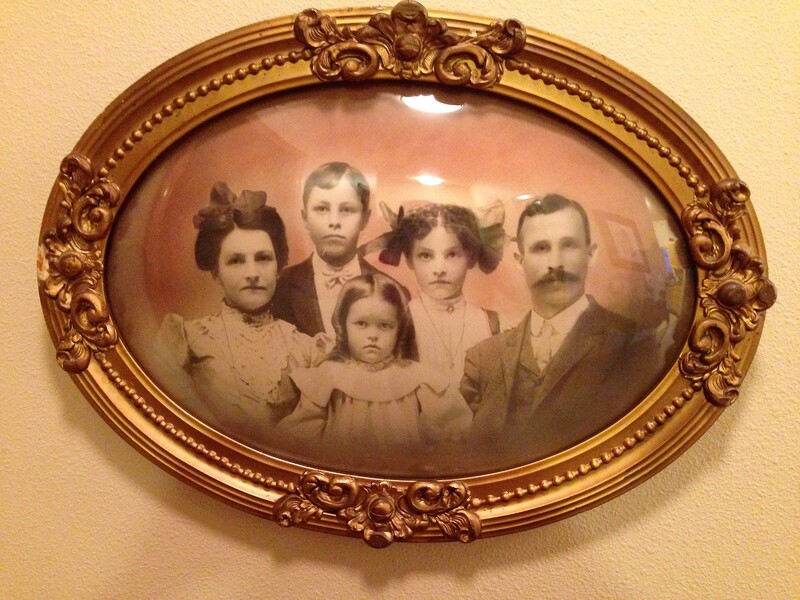 I found a picture of a stiff-faced family which sparked the idea for a flashback memory for my heroine. Of course, you need to be sure the scene propels your story forward, but reflecting on a moment which adds important elements to the story can be useful. A wealth of valuable ideas can be found in old towns and historic districts. I find ideas for the settings of my stories by taking walking tours of places I want to write about. Often, there are guide books available which give intriguing details about the people and their occupations to spark further ideas. This is truly the best way to get the feel of a bygone era. My stories always seem to involve train travel, and since we love tourist railroads, riding an excursion train is always on our agenda. 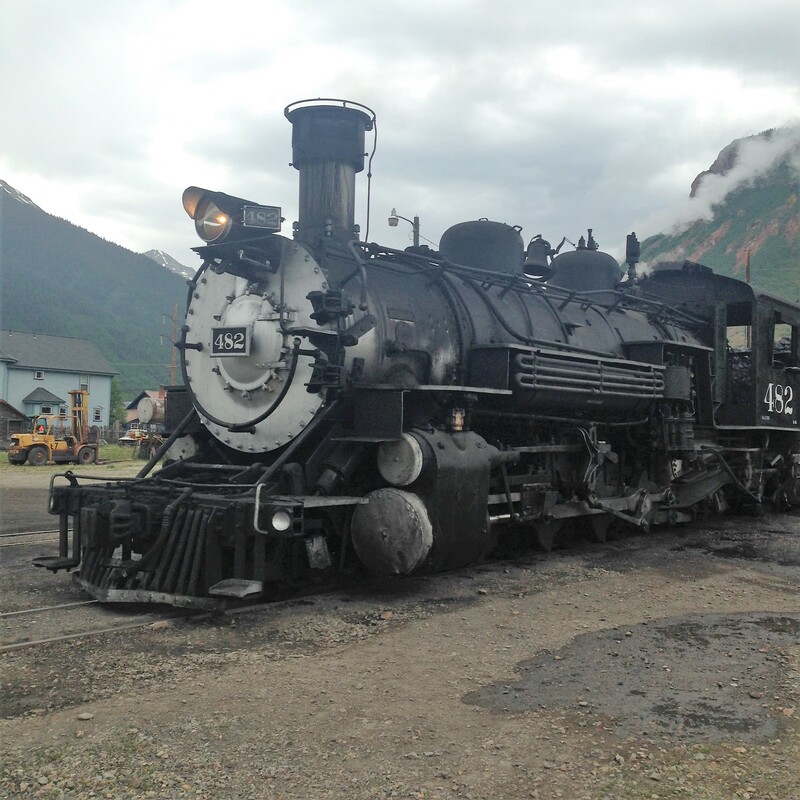 There is no better way to experience the stench of coal smoke, the grit of cinders, the thrill of the whistle, while relaxing as the train rocks down the tracks. I suggest heeding the “All aboard!” call of the conductor whenever possible. 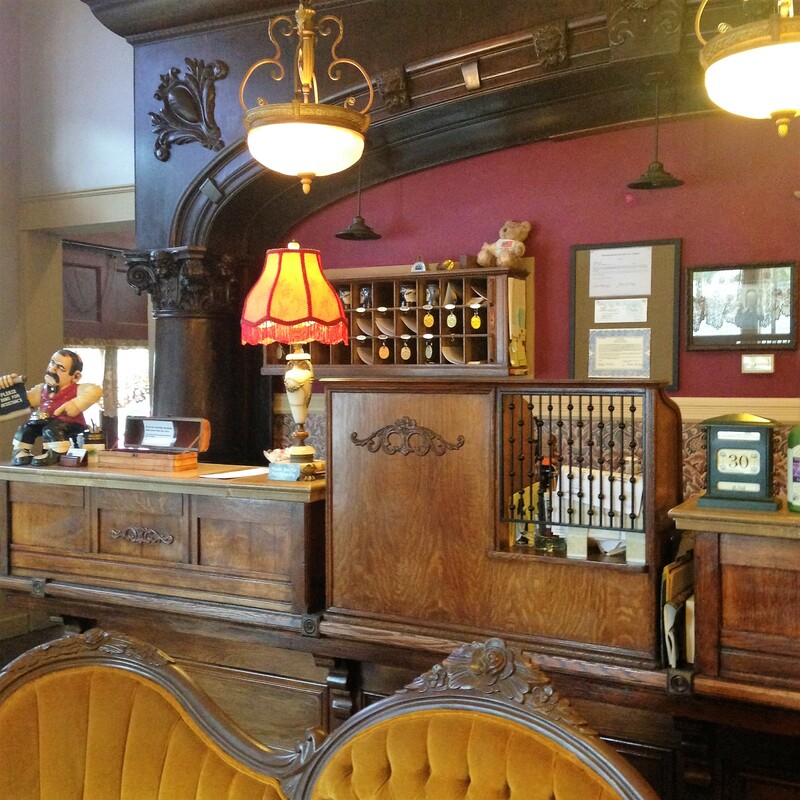 Staying at a historic hotel also immerses you in the setting so you can imagine life during a different time…but the beds are more comfortable now and private bathrooms are good additions. Recently, I found an obscure book written by a man who had lived in the area I was writing about. The violence during his time period impressed me, and his use of language was helpful. Reading the man’s remembrances of his early life in New Mexico sparked the idea of adding a raspberry picking adventure to my story. This was authentic to the time and something I hadn’t considered. If you can’t find a memoir through your library, this type of book can sometimes be found in local independent bookstores in a location you’re interested in writing about. Since a historically accurate novel should contain words used during the time, I found the Online Etymology Dictionary helpful to check when a word was first used. Looking through the word lists also gave me ideas for interesting words to add to my story. Tizzy wasn’t in use during my time period, but scatterbrain and hare-brained were used. I find word etymology fascinating…and sometimes skitter off into too much research. Click here for Online Etymology Dictionary. Looking through antique shops can give you an idea for an item to add to your story which gives your writing an authentic feel. I like old tea-cups, bottles and cans of items available during your time period, and kitchen utensils. 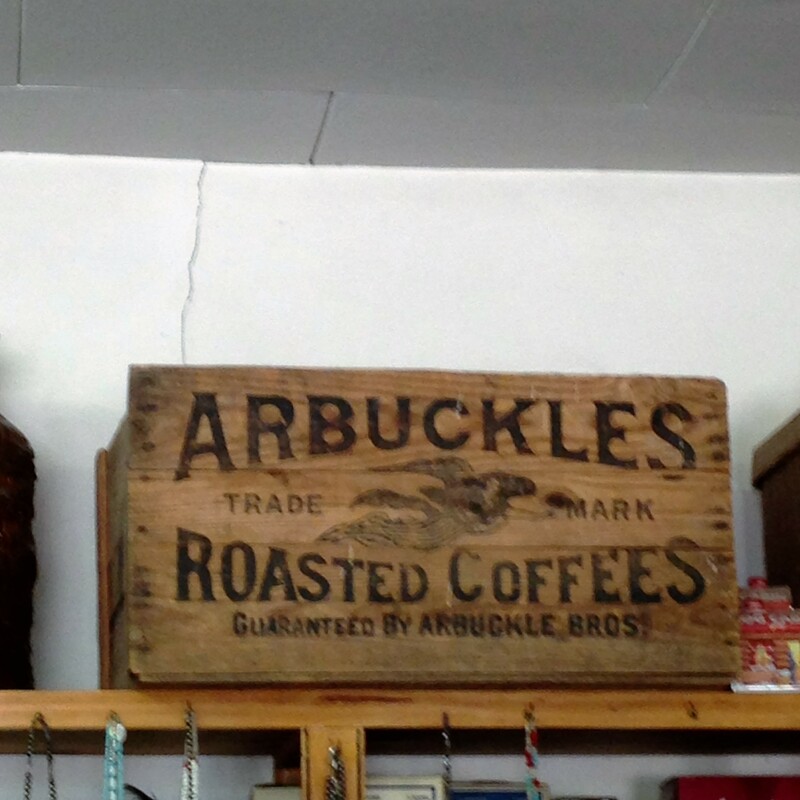 Just a mention of an Arbuckles’ coffee crate can put your reader in the Old West setting of your story. Also, printed materials from your era give glimpses into everyday lives if you can find a newspaper or magazine from the time period you are interested in. 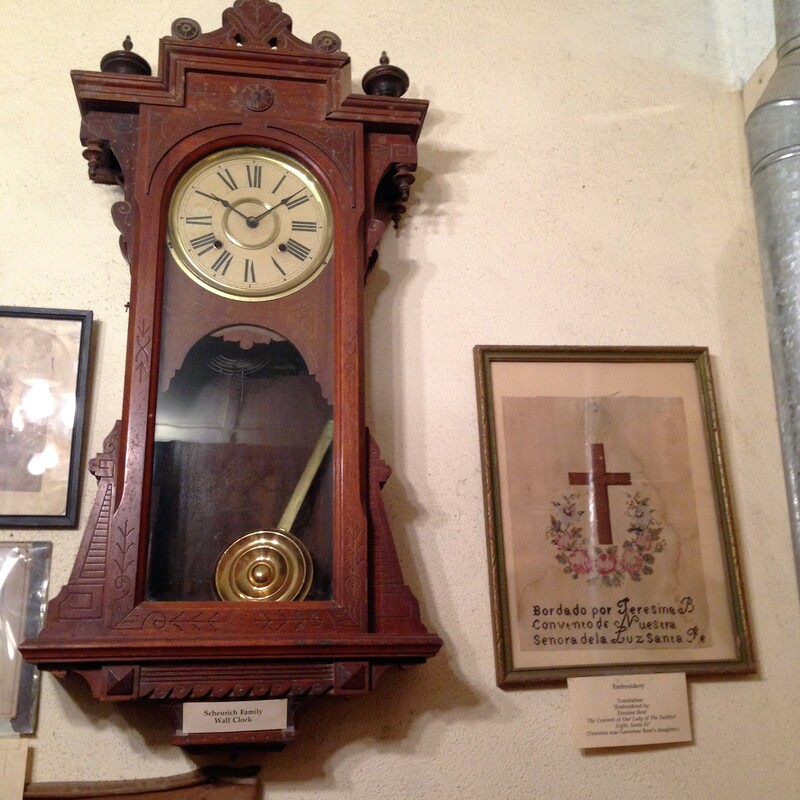 Small towns often have museums which are idea treasure boxes, offering glimpses into the lives of early citizens. Seeing the personal belongings which were important enough to bring to new homes out west reveals the characters of real pioneers. The gift shops often have great books for research. Thank you so much for stopping by. What tools do you use to spark ideas when you’re stuck during your writing process? Please share your thoughts and your idea-sparks by commenting on this post. May your day be filled with God’s treasured blessings as you write and/or read a historical novel! 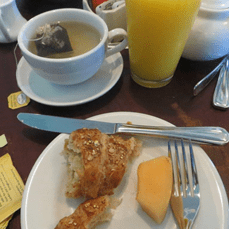 #TUESDAYTEA with Travel & Treats! Just a quick post featuring some tea treats we found during our recent travels…. 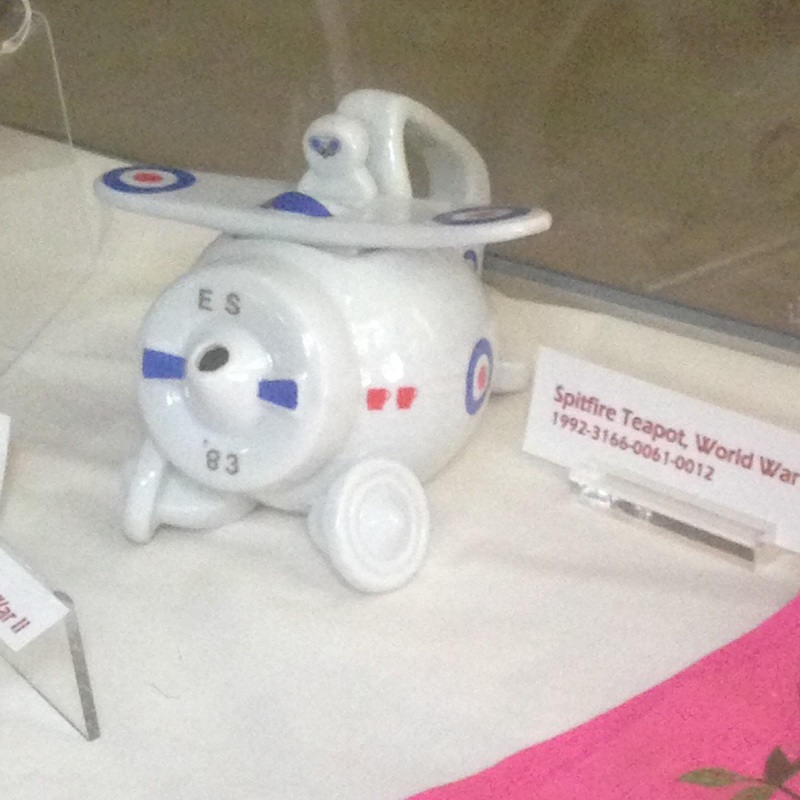 This cute little teapot is in a display at the Hill Air Force Museum in Utah….a little spitfire replica. 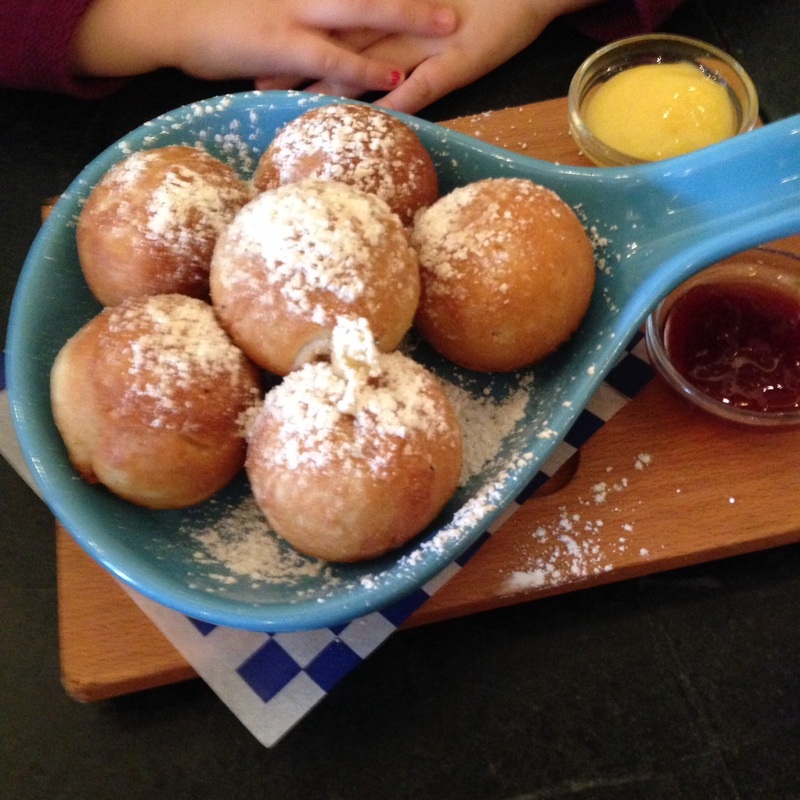 We had a delightful brunch at a Scandinavian cafe in Portland, Oregon, which featured these DELICIOUS aeppleskivers. Yummy aeppleskivers served in a Portland, Oregon, cafe. 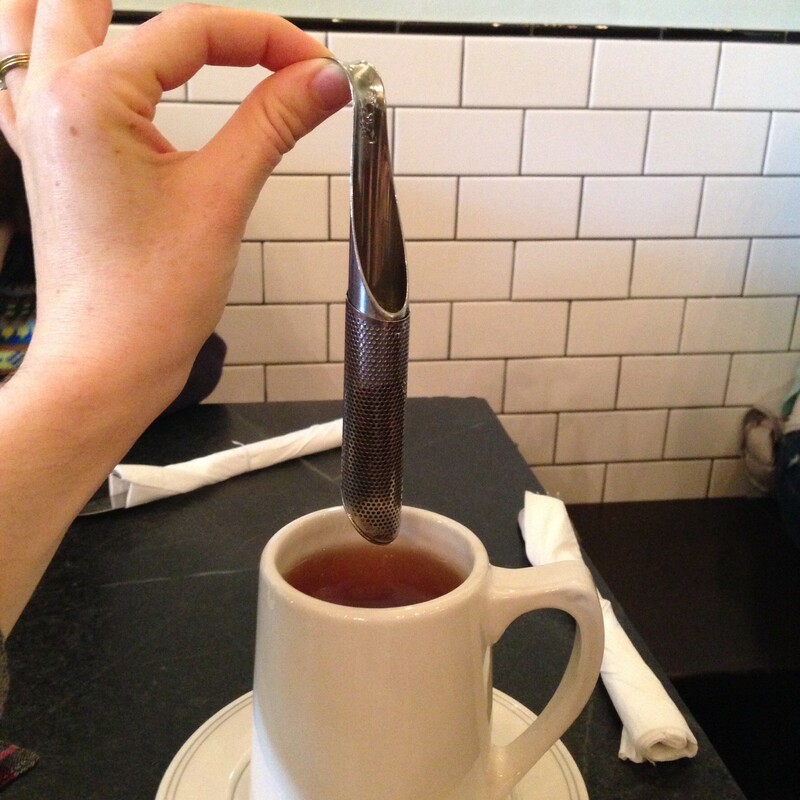 And the tea was served with this unique infuser. Then we made a stop at my husband’s favorite cookie bakery, Big Moe’s, in Price, Utah. He loves their double chocolate chip cookies. COOKIES! 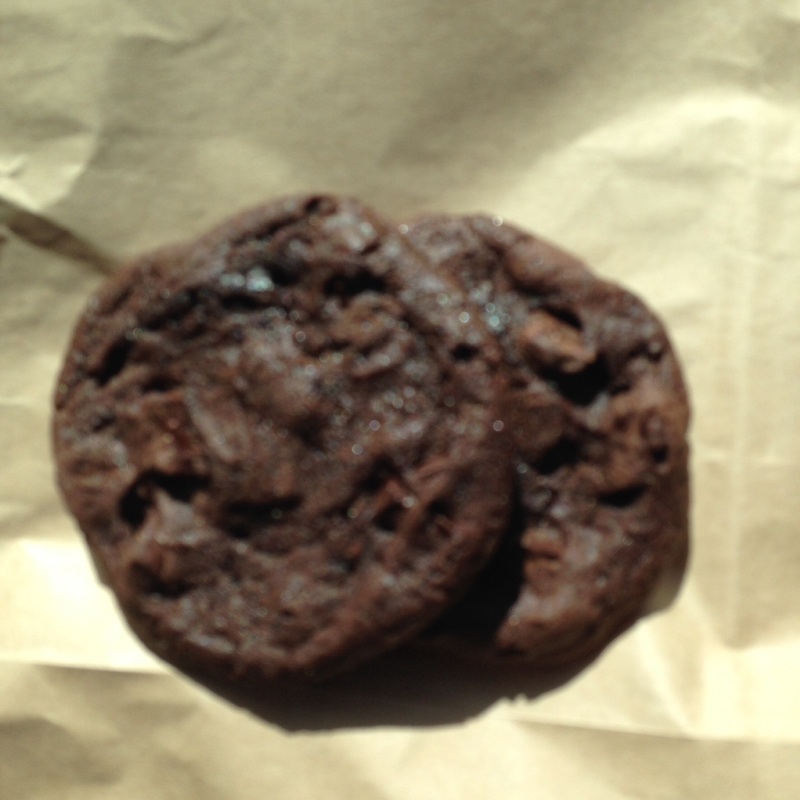 Double chocolate chip from Big Moe’s bakery in Price, UT. We had a perfect trip, visiting family and going to Easter church services with four generations of my family. A very special treasured time together. And we enjoyed treats along the way. Hope your spring travels-near or far–are filled with great treats and God’s treasured blessings! Usually when I invite you to have TUESDAY TEA with me, we’ll share a pot of tea and a tea time treat. Today our treat is a bit different. I’ll explain. After attending the sunrise service at our church on Easter Sunday, my husband and I went hiking in the desert to refresh in God’s amazing creation of wilderness. The area of our hike, shown below, seems like an interesting contrast to the setting of the book I’m featuring today on TUESDAY TEA, Sandra Leesmith’s LOVE’S PROMISES. Sandra’s novel is filled with scenic mountains, sparkling water, glistening snow, and the scent of Ponderosa pine forests. Beautiful Lake Tahoe is where this love story unfolds as Monica and Greg experience the outdoor adventures the Lake Tahoe area offers. Therefore, I’m serving trail food, water and energy bars, as Sandra discusses the active environment of her inspirational romance, Love’s Promises. Please be sure to enter the giveaway (at the bottom of this post), featuring Lake Tahoe and Sandra’s favorite coffee. Tuesday Tea-Hiking-This isn’t Lake Tahoe! First, enjoy the beautiful cover of this book! When Sandra revealed the cover a few weeks ago, I was thrilled to learn there was a tea house on tiny Fannette Island, or as the locals call it, the Tea House Island. You can see the island on the cover. However, the Tea House is not a place to drop in for afternoon tea, as Sandra will explain below. For Monica Scott, building her late father’s house at Lake Tahoe isn’t an option—it’s a necessary distraction from confusing memories and an uncertain future. But a handsome planner working for the Tahoe Regional Planning Agency (TRPA) is keeping Monica from moving forward with the project. Never mind that he’s young and charming with a great sense of humor. No one is going to stop Monica from making her father’s dream—and her own—a reality. All Greg Linsey wants is for his work to mean something. His job at TRPA gives him the opportunity to fight for the environment he loves and make a difference in his small corner of the world. But with the sophisticated Monica Scott’s arrival, his dedication is tested as never before, especially when Monica turns to his unscrupulous nemesis for assistance. As Greg and Monica’s animosity turns into something far sweeter, can they learn to accept each other’s promises and avoid the growing danger to their lives and hearts? 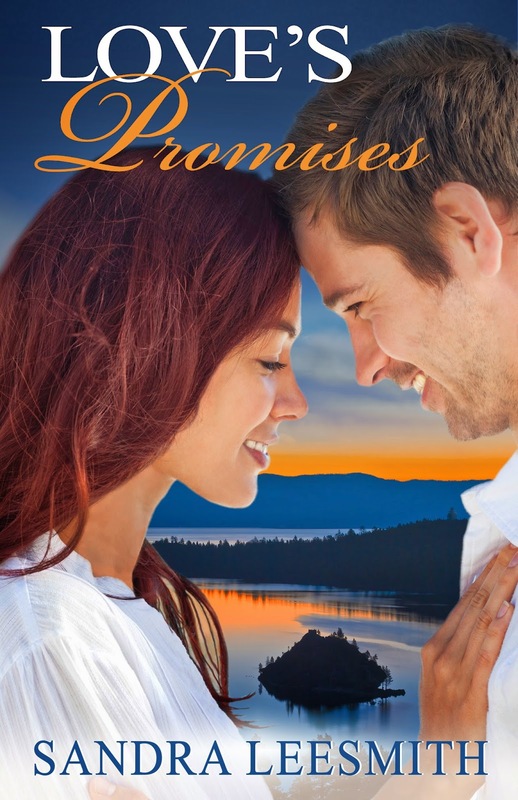 Now to chat with Sandra about the beautiful Lake Tahoe setting of Love’s Promises! SHERIDA: What glimmer of an idea started your thoughts for Love’s Promises? SANDRA: Two glimmers happened for me. My husband and I bought a house at Lake Tahoe, and it needed a lot of work done on it. The work needed permits, and that is when we ran into the Tahoe Regional Planning Agency. My husband is a biologist and we both have deep concern and love of nature, so we were very impressed with the Agency’s plan to protect the natural beauty of Lake Tahoe in spite of the extensive use. The research was very rewarding. The other thing that happened at that time is that I was involved in a class for women offered at church that pointed out God’s plan for women and their role as godly wives. Becoming an adult in the era when women’s lib started, I thought the precepts presented in my Bible class were refreshing, and I wanted to show those in my writing as well. SHERIDA: Both of your inspirational experiences are developed so well in the book, the concern of preserving natural beauty and the reflections on God’s plan for being a wife. As I mentioned, I love tea houses, but the Tea House mentioned in your book is not what I was thinking it would be. Please tell us a bit about the Tea House you describe in Love’s Promises. SANDRA: No, the tea house located on Fannette Island in Emerald Bay is very unconventional, isn’t it? It was built by Lora Josephine Knight, who purchased the property on shore and the island in 1928 and built the house and teahouse according to Scandinavian architecture. She would take her lady friends out to the island for tea. The small structure included a fireplace and a table and chairs. I think she built it to protect them from the wind and cold that can come up while on the lake. SANDRA: My recommendation would be to go to the tourist information centers. They are located in the major towns and also in the state parks and national monuments. You need to make reservations early as they book up fast for camping. Any of the campgrounds are fabulous. Take your bicycles, as you can ride to interesting places from all of the campgrounds. Hiking trails abound in the forest around the lake. There is also access to the Desolation Wilderness Area on the west side of the lake. Every town has fabulous restaurants for coffee and tea. Just ask the campground hosts where you camp. I particularly love to have coffee on the deck at Sunnyside along the west shore. (Here is their website: http://www.sunnysidetahoe.com) Btw, they received a “best ambiance” award in 2014. SHERIDA: Thank you for your trip-planning suggestions, Sandra. And thank you for your blog tour events and the giveaway featuring Lake Tahoe. I love Love’s Promises! SANDRA: Thank you, Sherida. I am looking forward to the blog tour. I am delighted that you love the book. Follow the Love’s Promises blog tour set up by Amber Stokes by clicking on the pretty button below. Visit with the other bloggers who present fun information about LOVE’S PROMISES! This is a story about Monica Scott’s determination to build a house, designed by her father, on an environmental sensitive plot of land in the Tahoe Basin area of California in the 1980’s. Her plans are thwarted by Greg Linsey, an agent with the organization charged with protecting the quality of life in the area. Well-motivated characters and the different ways love is expressed, fill this story with thoughtful inspiration. I enjoyed the sense of hiking and exploring the beautiful scenery of Lake Tahoe, so lovingly described by Sandra Leesmith. A slight breeze rushed through the trees. The cool air refreshed his exerted body. Birds sang. Squirrels scattered in front of him. Pleasure coursed through Greg as the stirrings of spring transferred from nature to him. He looked around and thanked God again for His wonderful creation, and thanked his forefathers for the wisdom to preserve it. For the first time in months, peace settled in his heart. You can connect with Sandra on Facebook, Twitter, and Goodreads. You can also find her and her talented writing buddies at the Seekerville blog. Thanks to Sandra Leesmith and my readers for stopping by for TUESDAY TEA, even if we just had water and trail bars today, but so fitting for the beautiful hiking to be experience in Sandra Leesmith’s Love’s Promises! Be sure to enter the giveaway. Hope you enjoy Love’s Promises, as I did! May you always be blessed by the gift of our Savior’s love as celebrated at Easter! Blessings to you! 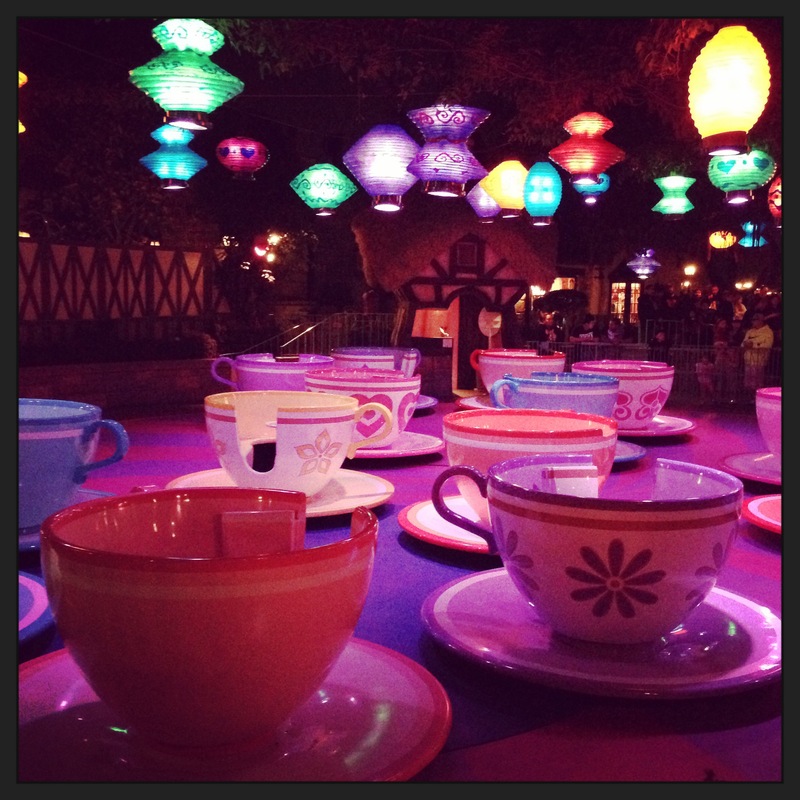 TUESDAY TEA in DISNEYLAND with earthquakes, deadly fumes and a flat tire! Breakfast with the Disney Princesses! Praise God for the blessings of precious family! With an invitation from our son and DIL to visit Disneyland with them to celebrate Granddaughter’s 4th birthday, we excitedly traveled to Anaheim, California. The night before our son’s family was to leave on the trip, our DIL hurried to pack up baby items for one-year-old Grandson and princess dresses for Granddaughter. She noticed an off odor in their house, so as a precaution, she put batteries in their carbon monoxide detector. Awaken by the alarm in the early morning hours, they called the gas company. Her actions saved not only their precious family, but also the unconscious neighbors who had left their car running, filling both townhouses with deadly fumes. Moving on pure adrenaline, they made their 9:00 am flight, arriving in Disneyland with Granddaughter and Grandson. Celebrations of being together and having birthday breakfast with the Disney princesses was even more treasured than we had planned. We know how quickly a moment can change lives. Disneyland teacup ride is empty after the earthquake. Photo courtesy of Kira Brady. We even added a flat tire to the happenings! But we were so blessed to spend treasured time with our family enjoying the discoveries of Disneyland. Then on to Las Vegas where we joined our other son and his fiancée while they looked at wedding venues for next year’s marriage. This was a special time with them. I even found two Inspirational Romance books that I hadn’t been able to find at my home stores: The Guardian’s Promise by Christina Rich and The Agent’s Secret Past by Debby Giusti. Everyone arrived home safely, but I learned to check the carbon monoxide detectors, travel with an emergency kit, and thank God for each precious day spent with our family! Blessings to you! Please give your loved ones an extra hug! Scripture taken from the New King James Version. Copyright (c) 1982 by Thomas Nelson, Inc. Used by permission. All rights reserved. We went hiking recently….in a land that looks like wilderness. The trail starts innocently enough…a dirt path with unnecessary cairns marking the way. But as we hike further, the trail turns into the stone of old lava flows. The cairns become vital to showing us the correct direction. The black layers of lava are pushed into mounds. Deep crevices split the rough surface. But here among the rocks of the wilderness, bright desert flowers grow. How perfect an example of God leading us through the wilderness…with a gift of life at the end. 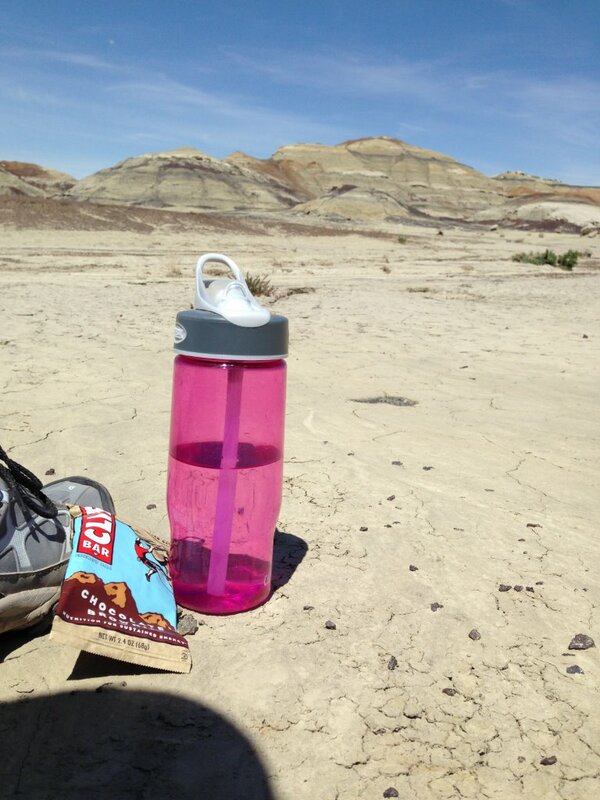 So enjoy a trail bar and sip some iced tea from your water bottle as we marvel at God’s blessings. 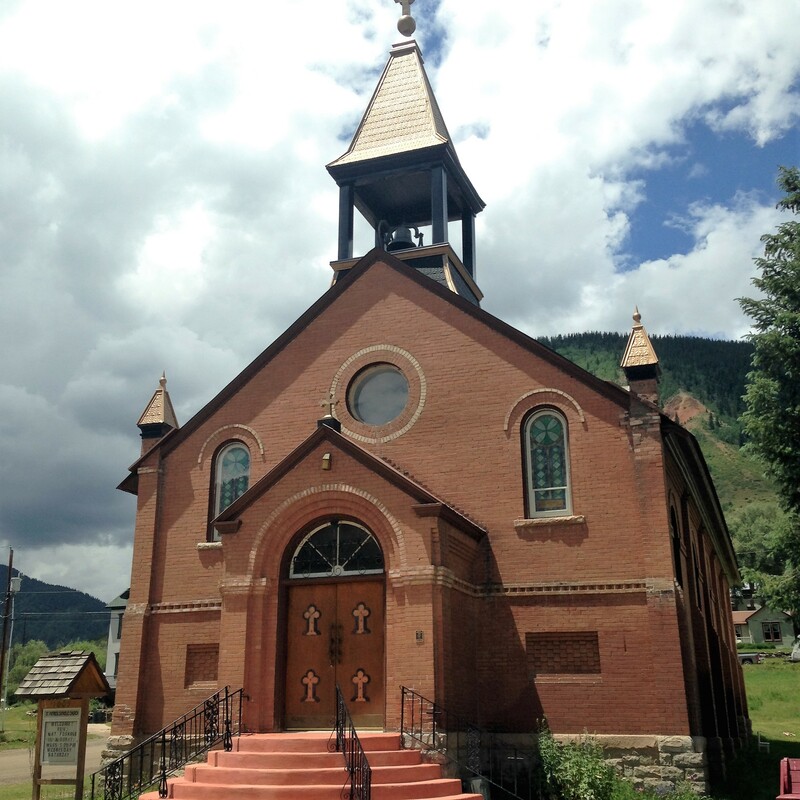 Lost in the mountains….finding my trail to writing…. Winding through juniper-covered mountains as we drive to Santa Fe to attend a WORDHARVEST travel writing workshop, I am looking forward to meeting New Mexico travel writer, Lesley S. King, who will be our guide on this adventure. A year ago, after reading her article in New Mexico Magazine about the historic “Turquoise Trail” of mining lore, we drove along New Mexico Highway 14 through the Ortiz Mountains east of Albuquerque. A souvenir necklace I purchased along the way was the inspiration for “Turquoise Remembrance” which won the 2011 Tony Hillerman Mystery Short Story Contest and became my first publication. Gathering at La Tienda in Eldorado on this azure-sky morning, it is good to meet Lesley and the other participants who will share this experience. While Lesley goes over our itinerary, a cool breeze floats through the open door. Sipping a cup of English Breakfast tea helps me to focus on this trek through the mountains of my writing desires. We will be finding our authentic paths, discovering our journey companions and deciding what gear to carry along. To begin, Lesley is telling us to write something….. a moment of panic! Which way to go? What am I doing here? I don’t know anything about writing! I don’t even know what to begin to write! But Lesley is a good leader and steps with me as I begin down this trail. Where am I going? She helps me learn how to discover my goals. Writing is fun! And writing a blog is a way to be my own publisher, giving me freedom to write as I wish. Who will be going with me? We explore the various social media–Facebook, Twitter, Pinterest–learning how to connect with others. What do I need to bring along? Joy, appreciation, curiosity, enthusiasm. The day has gone by quickly. It is time to say good-bye, so I leave with a map in hand, but it is still hard to decide which path to take. One blog or two? How much social media? Who is my audience? What is the purpose of my writing? Is my goal too lofty? Is this too hard and too much work? Do I have the time? Driving home as the glowing sun sets in front of us, my husband and I are reviewing the day and what we have learned. We are surrounded by New Mexico’s lavender sky and purple hills, and I now realize which mountain trail I want to take. Not the one along the rocky summit and not the one through the swift creek. I want to take the meandering trail by the bubbling brook. I want to sit and chat with the others along the path as I snack on dried cherries. 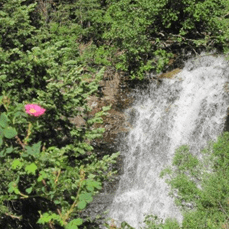 I want to draw in the fragrant wild roses and the vanilla-scented Ponderosa pines. I want to hear the melodies of finches and the chirping of a robin. Yes, I want the peaceful trail with the companionship of others who enjoy discovering the journey. As Lesley says in her book, King Of the Road, “Within a single lifetime, most people live many incarnations. Career changes, family shifts and travel, all add to the journey’s richness.” So maybe another time, I will take the trail to the mountain crest or the path along the cascading stream. At this moment, I am adding to my journey through the mountains by joyfully writing what I love (my family, travel, romance, hiking, afternoon tea, food, cooking, history, historic hotels, faith, inspiration, trains, camping, reading) and with whom I love (my hero, best friend and husband of 41 years–Collin Stewart). And the sun is shining! A special way to celebrate the joys of life! The writing community I have encountered is so supportive of its members. I’m currently taking a writing class and find the encouragement of the instructor and the participants gratifying. Other writers in my circle are always helpful. We celebrate one another’s achievements. This month Kira Brady’s trilogy, beginning with Hearts of Darkness (to be published August 7, 2012) is receiving glowing reviews. 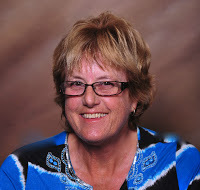 Romance Writers of America announced the finalists for their 2012 contests–and three finalists are of special significance for me—-RITA finalists, Linda Winstead Jones and Cherry Adair, and Golden Heart finalist, Marni Donnelly Folsom. Congratulations! 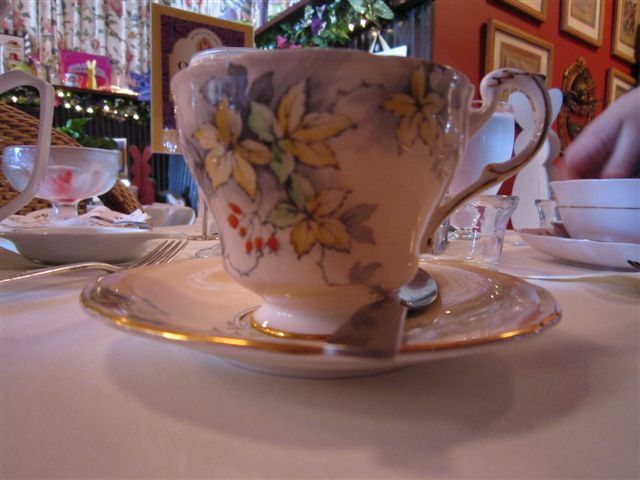 For a special celebration of my first publication, Kira Brady treated me to afternoon tea at the charming Queen Mary Tea Shop in Seattle, Washington. Celebrations don’t get any better than this—or more elegant! Sorbet followed by a three-tiered selection of treats (tiny sandwiches, assorted fruits, sweet bites, tender scones) and accompanied by a pot of tea–(I had white peach–delicious!) The celebration of family, friends, accomplishments and good news! I am thankful for the many joys in my life. And I hope you all have good news to celebrate! 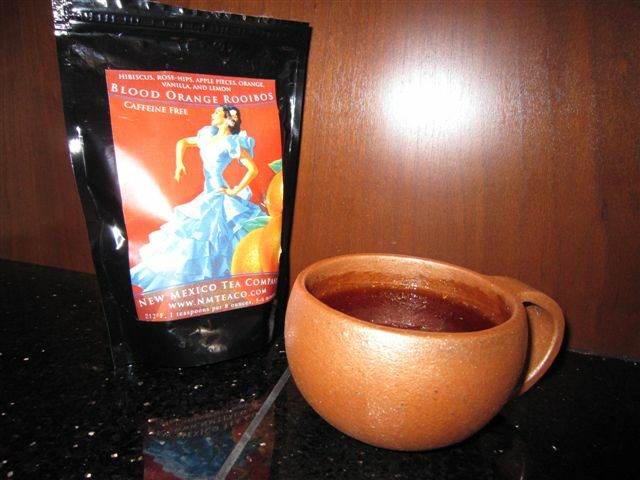 This afternoon, I am sipping Blood Orange Rooibos from a micaceous pottery cup made by Brian Grossnickle. I am fascinated by micaceous pottery–the warm golden color I associate with New Mexico landscapes. It seemed appropriate to drink a tea from the New Mexico Tea Company. A good blend of hibiscus, rose-hips, apple pieces, orange, vanilla, and lemon. Micaceous pottery……I first learned about this beautiful art by reading New Mexico Magazine’s article in the August 2010 issue. On a trip to Santa Fe, I looked for Cafe Pasqual’s to see what pieces were available to buy at the gallery. One doesn’t know what will be for sale as they sell very quickly. I was fortunate to find a bean pot made by Felipe Ortega that was exactly what I was hoping to find–the one that felt just right. Yes, it “spoke” to me! The beautiful “fire clouds” caused during the firing process as the juniper wood touches the pot are intriguing. To use this pot to cook beans is a special experience—the beans and the pot bring together a perfect essence of traditional cooking. Since then we added cups created by Brian Grossnickle because we enjoy tea and the warmth of the pottery cups. Art that is to be used and enjoyed. All treasures of New Mexico! Now back to writing! And yes, there will be a micaceous pot in a future story! No computers were harmed in the 1.885 seconds it took to produce this page.